This book provides a comprehensive guide to the trade in the world's most popular fruit. Covering all aspects of the trade from patterns of production and consumption to pricing trends, from details of the companies involved to consideration of international political constraints. 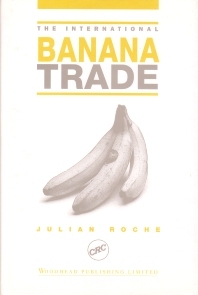 Bananas; Production; History of the world trade; Banana imports and consumption; International companies; Production in individual countries; EU banana regime; The reefer business; Costs and prices; How bananas are traded; The future.